In principle, a DM filter should eliminate RF rectification from out-of-band signals, although I think the attic is quiet enough to not need any help. 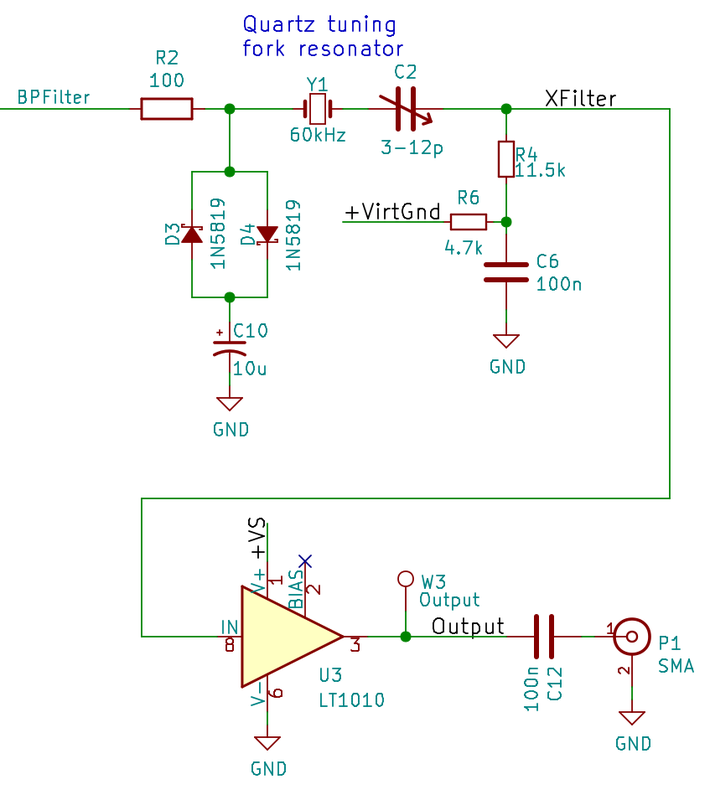 The caps form a simple RC LP filter rolling off at 5.490 kΩ × 150 pF → 193 kHz, high enough above the 60 kHz signal to not make much difference down there. 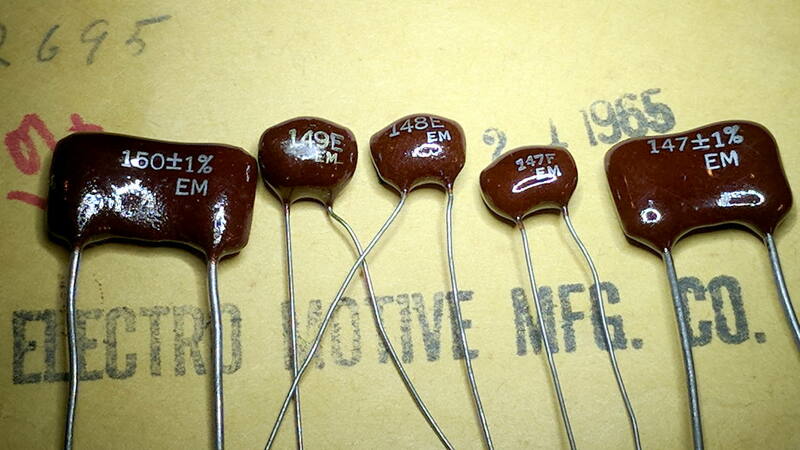 The silver-mica caps come from the Big Box o’ Caps, which contained an envelope with a few large 150 pF ±1% caps and a bag stuffed with similar 147 pF ±1% caps. Mixed in with the latter were some smaller 147 pF caps (*) of no particular tolerance (perhaps 5%), from which I neurotically matched a pair to 0.05 pF without too much effort. Doesn’t matter, given the other tolerances and suchlike, but it was amusing. I’d inadvertently grounded the cold end of the 330 Ω input resistor in the LM353 bandpass filter, now properly tied at the Vcc/2 virtual ground to take the DC load off the LT1920 output: a 100 nF cap (27 Ω at 60 kHz) stores the bias level without messing up the filter shape. Next: find out how well it works! 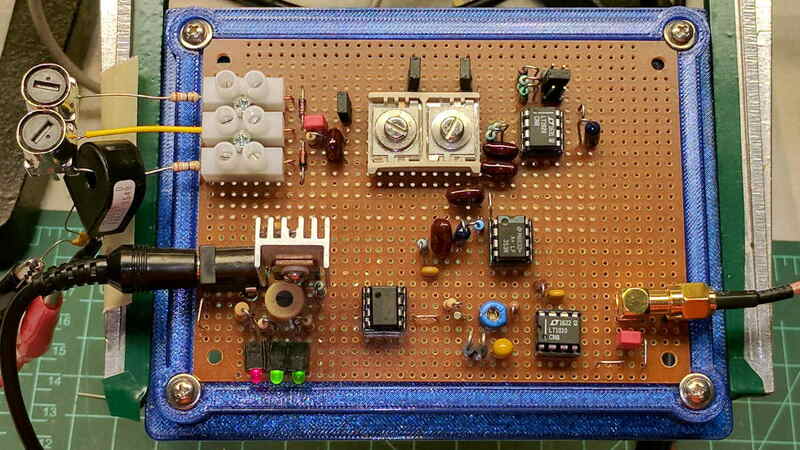 This entry was posted on 2017-09-29, 07:11 and is filed under Amateur Radio, Electronics Workbench. You can follow any responses to this entry through RSS 2.0. Both comments and pings are currently closed.